In most cases, osteoporosis screening consists of a simple X-ray test that can be performed in a hospital or outpatient facility. Bone density screening machines can also be conveniently used right in your doctor’s office, and the device will cause you no pain. Test results are available almost immediately, but it may take your doctor several days to analyze the results and give you your final diagnosis. Patients will usually experience complications before they are diagnosed with osteoporosis, so preventative screening methods may help you to being hospitalized or seriously injured. Because of the number of baby boomers becoming senior citizens, post menopausal osteoporosis is fast becoming the most commonly diagnosed form of the disease. Women naturally begin to process less calcium as they become menopausal. After estrogen production is slowed, older women have a lessened ability to replace their old bone tissue. 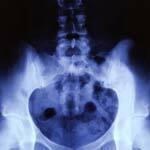 Severe osteoporosis can affect patients of any age or gender. If you are genetically predisposed to develop osteoporosis, you will want to consume more calcium and avoid drinking or smoking too heavily. Osteoporosis screening will also eliminate osteoporosis if your doctor is concerned. Osteopenia, a disease that is similar to osteoporosis in many ways, is just as likely to be diagnosed as osteoporosis. Although you may need to take medication, osteopenia has fewer complications. By opting for osteoporosis screening, you will know what to do to keep your bones healthy and hopefully avoid the disease. You also have the option of using an osteoporosis natural treatment if you believe that you have several risk factors for osteoporosis. In general, osteoporosis risk factors include; having a family history of osteoporosis, being female over the age of 50 or suffering from an eating disorder. Any activities that you partake in that could possibly impact your body’s ability to create healthy bone tissue will make you more at risk for developing osteoporosis. Osteoporosis screening is neither exorbitantly time consuming or expensive, so you really have nothing to lose. If your body has not been performing normally and you are in fear of having osteoporosis, go for a screening test and get the answers that you need.